'Drive With Phil' is an Independent school run by myself, Phil Corrigan. I cater for all your driving education requirements whether you are a complete novice getting behind the wheel for the first time or already have your licence and want to improve on skills and confidence. Would you like to pass you driving test and get that coveted prize as quickly and easily as possible? We will provide expert in-car tuition backed up with free lesson handouts and on-line assistance to ensure that you get maximum value out of the money you have worked hard for. Our courses are designed to offer structured and affordable training regardless of your age and experience. Our prices are competitive and we offer discounted starter packs for beginners. We do not use unqualified or trainee instructors, none of our instructors are afraid to display their badges. All our cars are less than three years old, are dual controlled, air conditioned and diesel engined for your comfort, safety, ease of learning and peace of mind. We are members of the Northern Ireland Driving Instructors Association (NIADIA) and the DIA Driving Lessons Lisburn have driving instructors in Lisburn; Dunmurry; Drumbeg; Drumbo; Finaghy; Poleglass; Twinbrook and Malone Road areas to suit you. Get it right first time, with door to door service and patient, helpful instructors you wont look back - except in the rear view mirror! Call today to find out more. Hi, and welcome to A1 Driving School, an independent, family-run drving school. 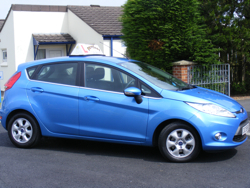 We are fully qualified and approved driving instructors providing high quality, value for money driving lessons in and around West Belfast. We enjoy high pass rates and offer high quality lessons tailored to each individual pupil so you know you will be taught at a pace that best suits yourself. 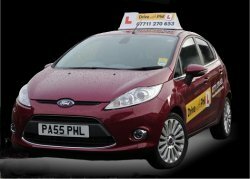 It is not only new drivers that can benefit from lessons with A1 driving School as also offered are Motorway and Refresher courses for those who are already qualified but want to improve their skills and confidence. So whatever your driving ability and experience, why not call A1 today to find out what we can do for you. Approved & Registered Instructor Full Hour Lessons No Piggy Backing Theory & Hazard Perception Test Preparation I will teach you the skills required to become a confident and competent driver. I look forward to hearing from you soon. 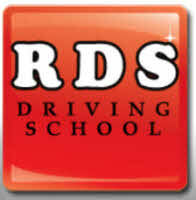 Welcome to Drive Safe School of Motoring Drive Safe is a local Driving School based in Lisburn. Our size, coupled with the absence of expensive overheads, allows us to provide very competitive, realistically priced, lessons for the best quality tuition. Fully qualified with ADI to high standard which indicates the thoroughness of our quality assurance programme. I am an independent, Department of the Environment (DOE) approved driving instructor with over 17 years of experience and thousands of satisfied students. I am also involved with the successful DOE Student Driver Training Course, and have taught many pupils from local schools. 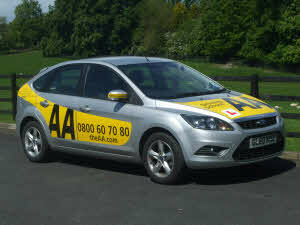 I offer competitive rates for driving lessons all over Lisburn and Greater Belfast. There are discounts available for all students, introductory offers for new pupils, and great deals for block bookings. Click here for prices. For individuals who need help getting back on the road, I offer Advanced Driver Training (ADI), refresher courses, retraining courses for people who need to regain their license, and assistance to help students pass the theory test. I am flexible with the time and location of lessons, and I offer home, school or college, and work pick-ups. Unlike many instructors, my Toyota Yaris SR does not display company advertising, so you won’t stand out when you are on the road. The Yaris is also fitted with dual controls so you can be confident when you are learning to drive. I can help you, as I have helped thousands of students, pass your driving test and theory test and get into the driver’s seat. 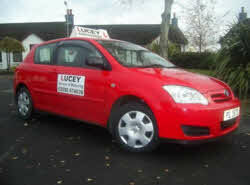 Quality Driving Lessons in Lisburn Established in 1995, Lucey School of Motoring offers high quality driving lessons, with a fully qualified A.D.I approved instructor, giving you the confidence and skills to pass your driving test with ease. Enjoy Driving offer a premium service for all your training needs We aim to make your training as efficient as possible, to reduce the overall cost of achieving your goal. We also offer a variety of incentive offers, and specfically designed courses. Local Approved Driving Instructor. Teach Learner drivers to become a full licence holder. Instructor training for Parts 2 and 3. Police standard courses and advance driver training. Learn to drive with Mark Henderson ADI I am dedicated to helping YOU gain the knowledge and skills required, not just to pass your 'L' Test but also to become a safe competent driver for life! Whether you are taking your 1st lesson or starting back again, 17 or 70, male or female you will be made to feel very welcome! I welcome all types of students including those who may be nervous about driving for the first time as I am a friendly and patient instructor and I operate a dual control vehicle so you will feel totally at ease. I would welcome the opportunity to earn your trust and deliver you the best service in the industry. I look forward to hearing from you soon.